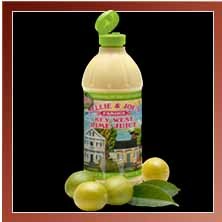 This recipe comes from Nellie & Joe's Key West lime juice. The recipe is on the bottle. It's so easy and perfect for dessert. It's light, creamy and refreshing. 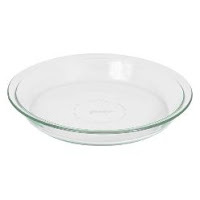 I like to use my pyrex 9" pie plate for this recipe. Anything larger will be too big. CRUST: Preheat the oven to 350. Put the graham crackers into the bowl of the food processor and pulse until you have fine crumbs. Add the sugar and melted butter and pulse until the mixture the crumbs are all wet. Press the crumb mixture into the bottom of the prepared pie pan, pressing up the sides. Bake in preheated oven until golden, about 5 minutes. Set aside on a wire rack and leave the oven on. 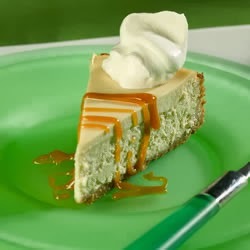 FILLING: Combine sweetened condensed milk, egg yolks and lime juice. Blend until smooth. Pour filling into pie crust and bake at 350º for 15 minutes. Allow to stand 10 minutes before refrigerating. Just before serving, top with freshly whipped cream. Dawn, I've never tried key lime pie--believe it or not! I sure would now, specially knowing that it doesn't need a lot of ingredients. Thanks for sharing the recipe!